Commercial, Delivery, Work, Utility and Emergency Vehicles and trucks make up a large percentage of traffic on highways around the world. These vehicles are normally larger than the standard passenger car. In the event of a collision the smaller vehicle normally incurs the greatest damage and injury. Commercial drivers are trained to watch out for smaller vehicles and most have CDL or commercial drivers licenses. Passenger vehicle drivers generally hold only a standard drivers license and are not commercially trained. Because of this, commercial vehicles and drivers are subject to a higher level of responsibility and liability in traffic. Commercial vehicles are generally owned by larger companies who again are subject to higher levels of responsibility when it comes to safety. Commercial Vehicles that make frequent stops in traffic are at high risk for rear end collisions. The cost of an accident to a commercial business or government entity can be substantial sometimes reaching into the tens of thousands of dollars or more in cases of personal injury. By clearly marking the rear of these vehicles with high visibility reflective tape, accidents can be reduced substantially. In Europe, standards have already been increased in an effort to reduce rear end collisions. The following is an example of that regulation. By increasing the visibility of commercial vehicles, approaching drivers have a much better chance of seeing the vehicle and determining whether it is moving with traffic or stopped. If it is stopped, they can take the necessary precautions to avoid a collision. Chevron Striping is the preferred method of marking commercial vehicles. This pattern is consistent with the pattern used in work zones to get the attention of drivers. The downward slanting stripes that alternate in color have been shown in tests to grab the attention of approaching drivers more than standard markings such as alternating dot tape. Bright colors and high contrast are necessary to get an approaching drivers attention. The most popular combination is fluorescent lime yellow and red followed by fluorescent lime yellow and orange. Studies in the US, Canada and Europe have shown that fluorescent colors such as fluorescent lime and fluorescent orange are much more visible and recognizable in the daytime. This is because fluorescent colors reflect ultraviolet light back in a way that standard colors do not. They are also bright and easily seen at night. School zones and work zones use these colors for this very reason. Quick recognition is crucial when entering these areas. We have a variety of chevron panels and alternating color panels available at www.chevronpanels.com . We carry fluorescent lime which we normally use for the background. We also carry white for background. For the offsetting color we use red and orange. Red is the most popular color on the lime with orange being second. We also have rolls of reflective chevron material that can be used to create chevron designs on vehicles. This is a less expensive and very effective alternative to the premade panels. The pictures below show the colors that we have for the rolls. 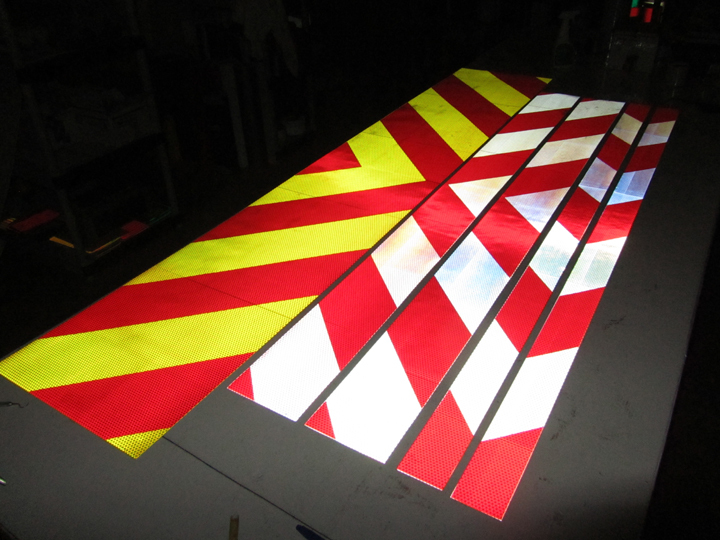 To create striped reflective patterns on diamond treadplate you can use our dots, circles, rounded squares, octagons, overlay panels or chevron strips. Application is very simple. Before you undertake the task of making your diamond plate reflective we suggest you let us mail you a sample which will contain the little dots, rounded squares, octagons, overlay panels and our newest product, chevron strips. This way you can make sure everything is going to fit properly before ordering. To obtain a sample go to our Free Reflective Diamond Plate Sample Page or email your name and address to steve@reflectivestore.com and ask for a V98 diamond plate sample pack. Or feel free to call us at 850-934-3157. Our reflective shapes can be ordered at www.reflectiveshapes.com . The “Chevron Strips” at the bottom of the picture above, come in four styles, A, B, C & D. This is to accommodate different types of diamond plate with minor spacing differences. All are included and marked in our sample pack. The V98 Reflexite material that we use for our reflective shapes is a highly reflective and very tough prismatic sheeting. It is the most advanced reflective sheeting on the market. V98 reflective material is conformable, re-positionable and clean removable. It is a single layer film and therefore does not need to be edge sealed. Other brands are made in layers and begin to delaminate over time. Reflexite V98 reflective sheeting will not. It is for this reason that we recommend this type of film over other brands. 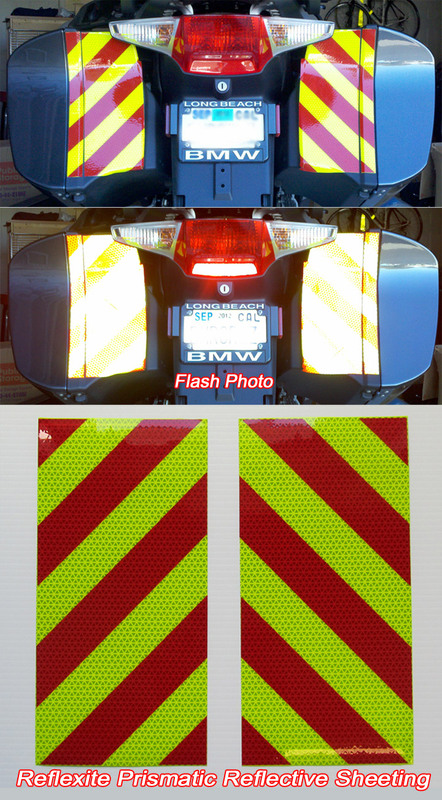 We have had several fire fighters request pre-striped chevron panels for striping the backs of their motorcycles. Mainly on the hard saddlebags. We have created 6″ wide x 12″ tall panels using Reflexite V98 Prismatic Fluorescent Lime Yellow sheeting and red transparent overlay. 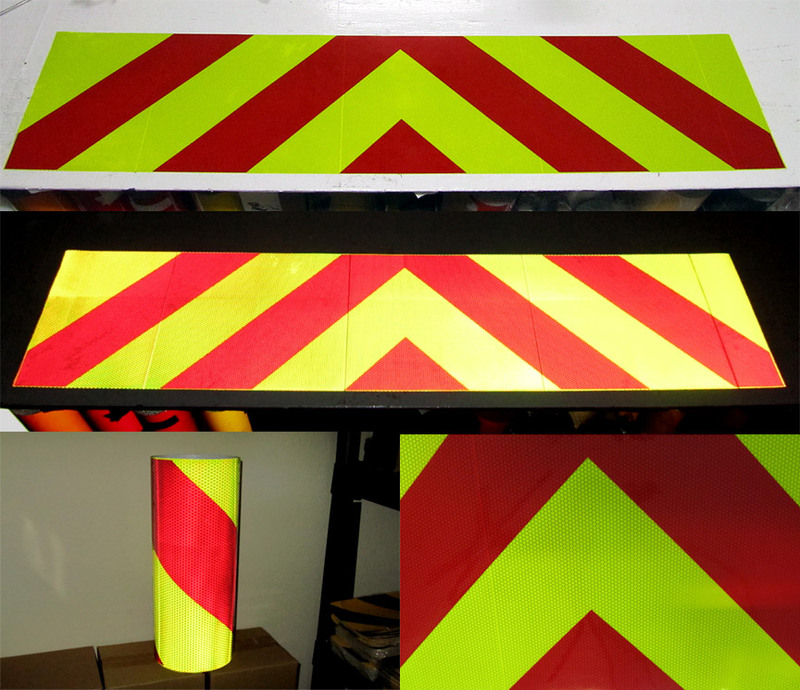 The material is extremely bright and is the same sheeting used on fire apparatus to create the chevron panels. It far exceeds NFPA requirements for reflectivity. The panels can be trimmed before applying or after. If you need a larger panel we can custom design one for you. The pictures above and below show the panels as they come from us and also applied to saddlebags. To apply simply peel the backing off, apply and then trim. Or you can trim first then peel the backing off and apply. For more information or to order the chevron panels CLICK HERE. The 6 x 12 inch panels run $40 for a set plus shipping. You would receive two panels like in the picture below. One for the left and one for the right. In the 1960’s Reflexite Inc. designed and created the first prism based reflective film. These films or tapes differ from glass bead films in that they are much more efficient in managing and returning light. About 250% more efficient. Because of its efficient design, a prismatic tape can reflect at rates of 500 – 1000 candelas. This powerful return of light allows the tapes to be seen at thousands of feet away versus hundreds of feet for glass bead tapes. 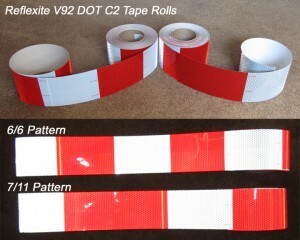 One of Reflexites most popular prismatic products is called DOT C2 tape. Also known as conspicuity tape. This tape is seen on over the road trucks all over the country and around the world. 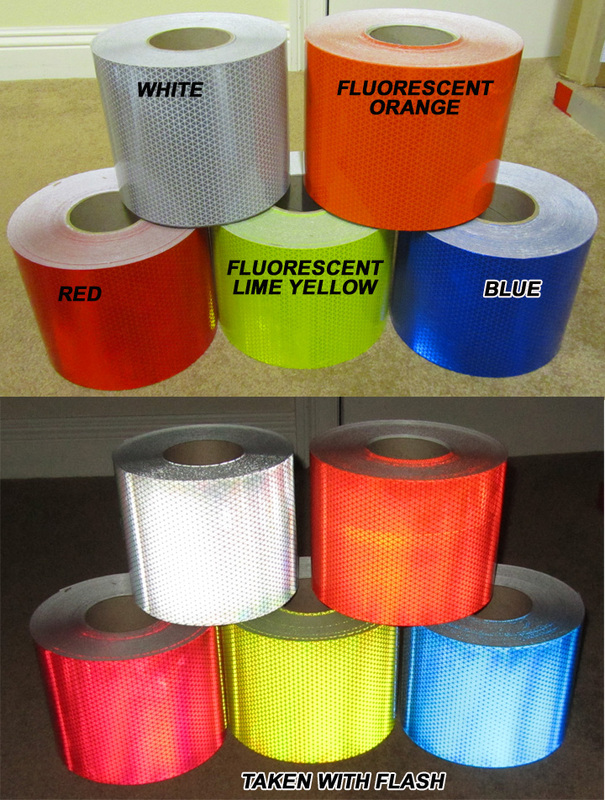 DOT C2 reflective tapes are designed to be used on tractor trailer rigs. It is a federal regulation in both the US and Canada that all tractor trailers exceeding 10,000 lbs. 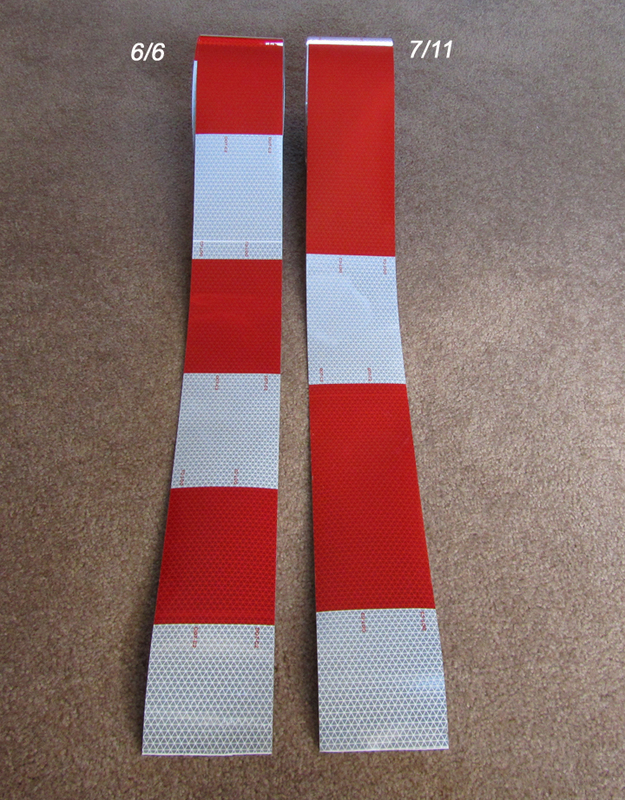 be marked with alternating red and white DOT approved 2″ wide (minimum) conspicuity tape along at least 50% of their lengths (can be segmented) and entirely across their back ends. Solid Silver/White DOT tape is required to mark the upper rear corners of trailers by the placement of two 2 inch x 12 inch segments together to form an inverted “L” in each corner. . 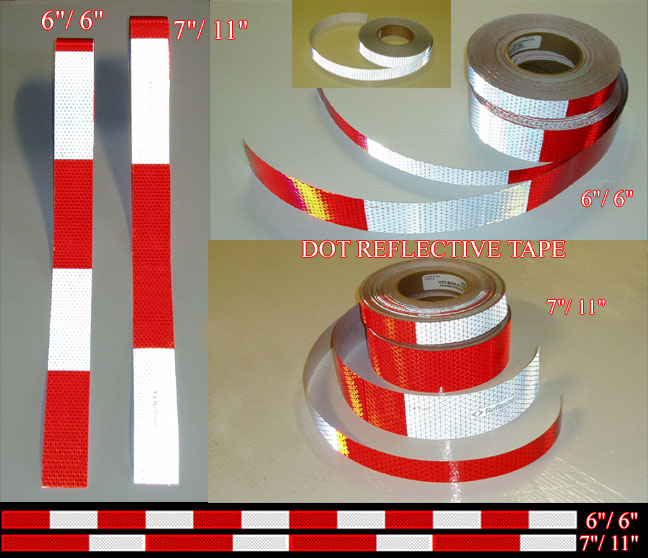 Although DOT tape is made for trailers it is also very popular for non DOT applications such as motorcycles, bikes and other vehicles due to its extreme brightness and aggressive adhesive. The C2 designation is simply the width of the tape. The most common and minimum required width is the 2″ DOT-C2 tape. We have information on C3 and C4 tapes here. 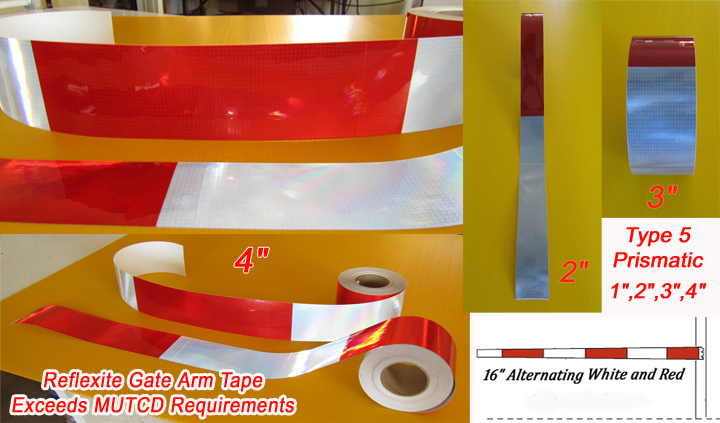 A 3″ tape will however give you 50% more reflectivity and a 4″ will put out 100% more than a 2″ wide tape. For certain applications this is very beneficial and can make a work zone much safer. The tape is available at the following websites. www.safety-tapes.com and www.reflects-light.com. Both sites are owned and operated by Reflective Inc. We have been in business since 1998. The new MUTCD standards now require railroad crossing gate arms to be equipped with a striped retro-reflective tape. Note-This new standard applies to all gates and not just railroad or grade crossings. The requirements are as follows. 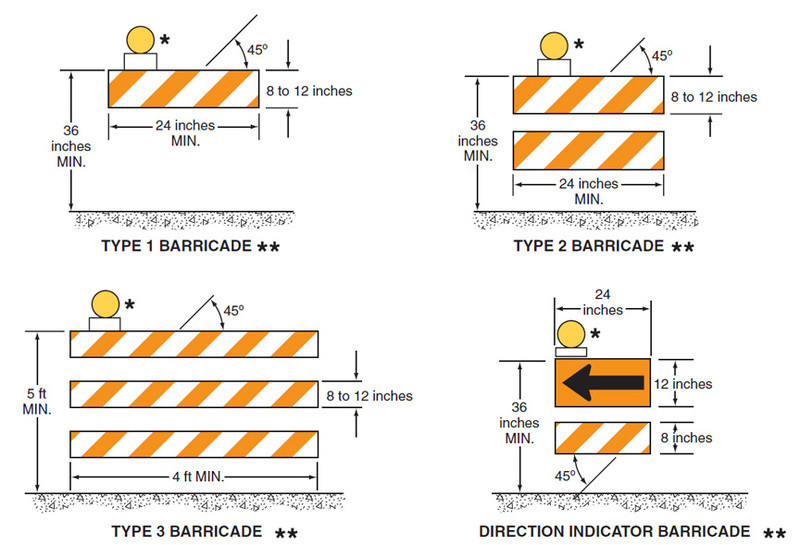 US DOT FHWA Manual on Uniform Traffic Control Devices (MUTCD) – 2009 Edition per Section 8C.04 Paragraph 05 stating “Gate arms shall be fully retroreflectorized on both sides and shall have vertical stripes alternatively red and white at 16-inch intervals measured horizontally”. To view our full article on the MUTCD gate arm requirements CLICK HERE. The reason for this change is simple. 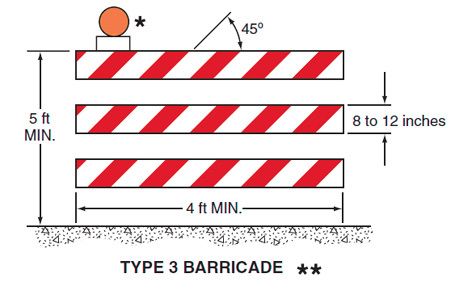 Barricade tapes that are slanted direct traffic one way or another. A left slant tape directs traffic to the left and a right slant tape directs traffic to the right. At a railroad crossing you are supposed to stop. Hence the change to a tape that does not slant but instead is striped vertically. The type 2 or better requirement comes from the MUTCD standards for street signs. Most street signs must now use type 2 or better retro reflective material. Because of this it is recommeded that you use the same guidelines for reflective gate arms. Also, it is recommemded that you use the widest tape that will fit on the gate arm. 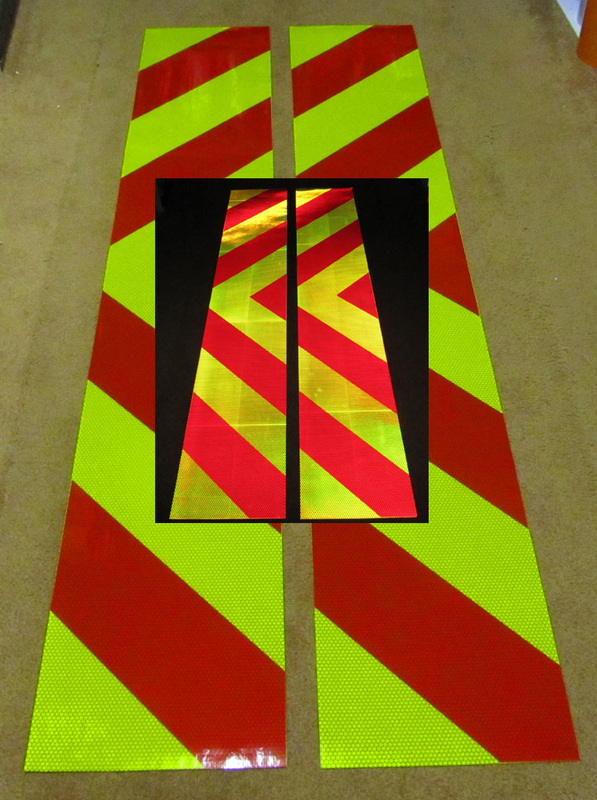 In the event of an accident you will want to be able to show that you followed the MUTCD standards and also used a reasonable width of tape. 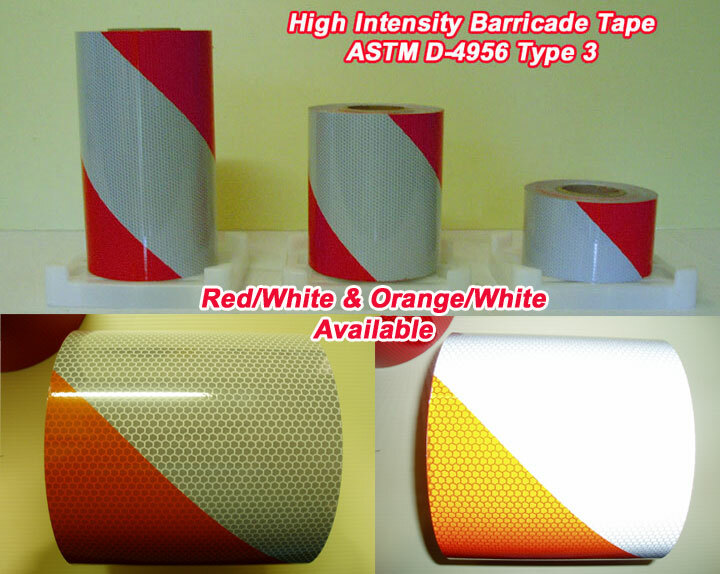 We carry a Reflexite Prismatic Type V gate arm tape in 1″,2″,3″ and 4″ widths. The tape is available at the following websites. 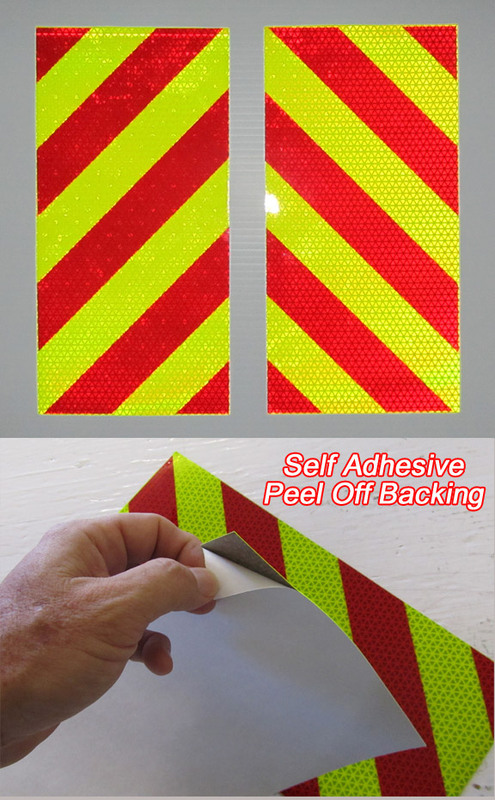 www.safety-tapes.com and www.reflects-light.com. Both sites are owned and operated by Reflective Inc. We have been in business since 1998.